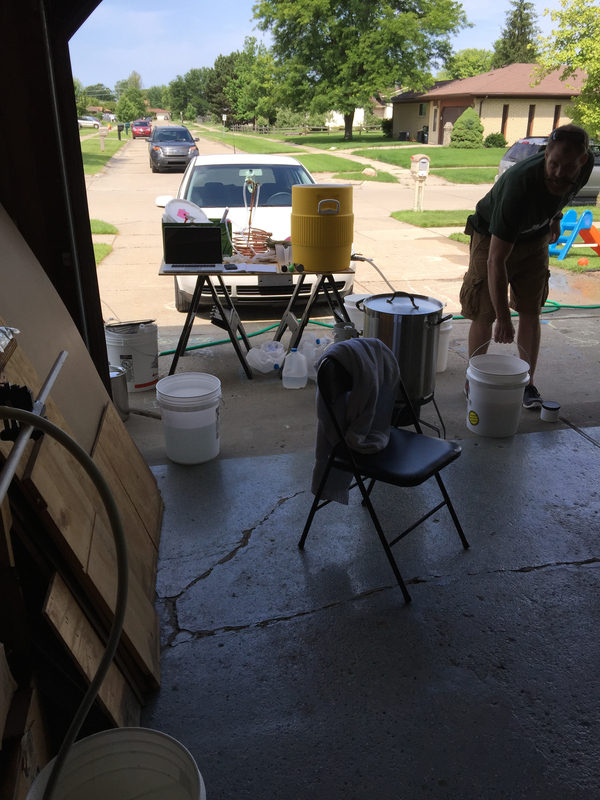 Our brew day was busy. 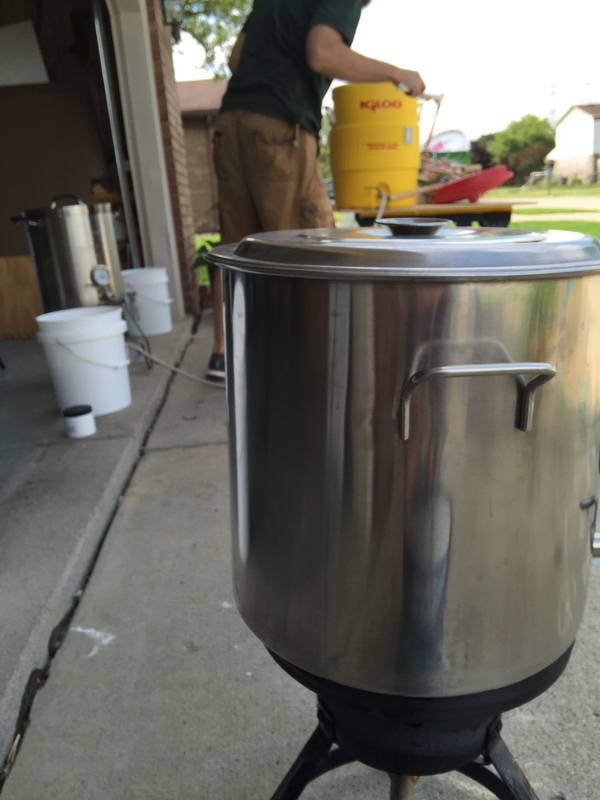 One of us brewed two beers, a milk stout and a belgian blonde, while the other brewed an American Pale Ale. For the most part the day went smooth. We also tasted the two sours we have going. They are about a year old now and the last time they were tasted was six months ago. 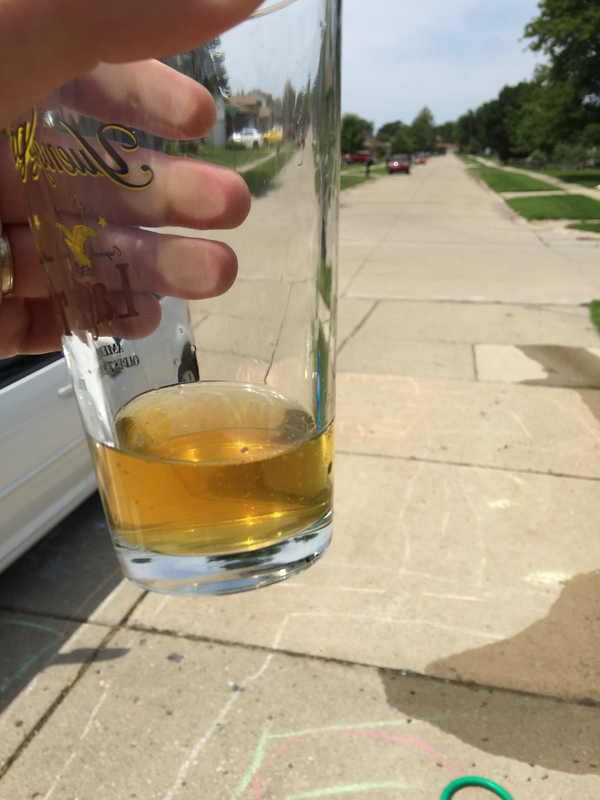 The saison was fermented normally as a saison then racked onto a local wild honey from mostly goldenrod flowers so it had a bit of a spicy flavor. 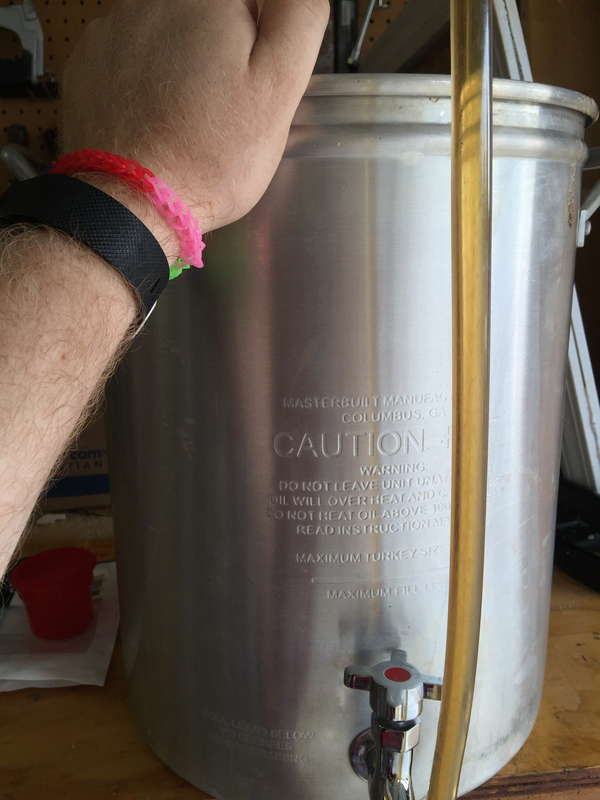 After racking the White Labs sour mix yeast was pitched. 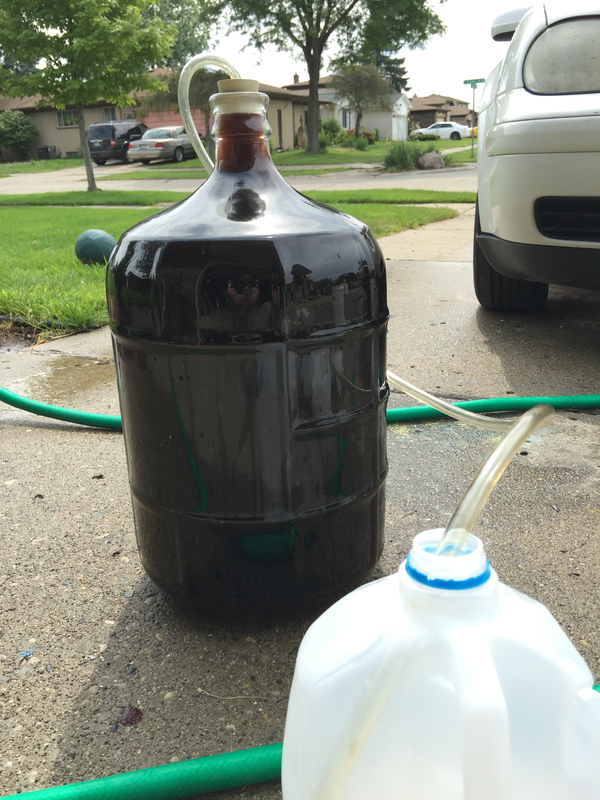 It had pretty strong fermentation right after pitching the bugs then calmed down for a good six months. 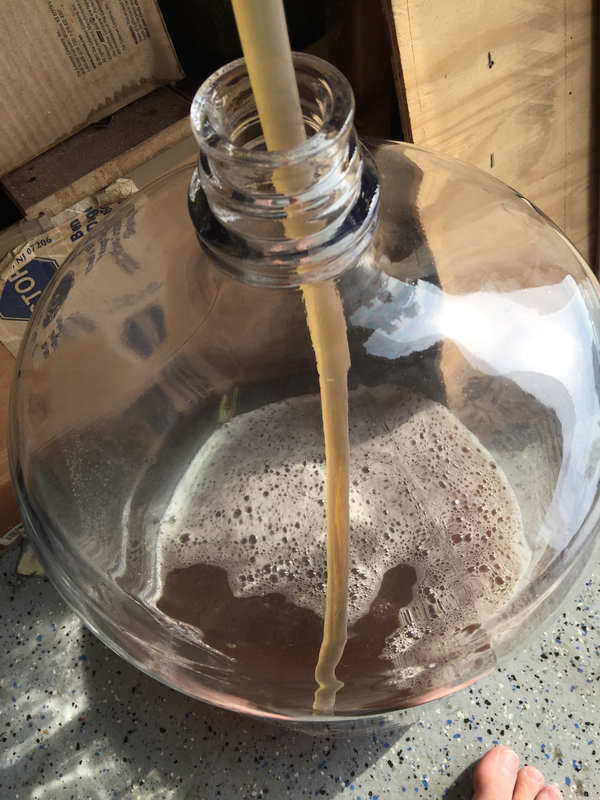 Then the Brett got going and a nice pellicle formed. The pellicle is still intact and the tartness/funk is very mild. It definitely still has a while to go. The Belgian Dark was fermented normally then racked onto raspberry puree and the same white labs sour mix yeast was pitched as the saison. 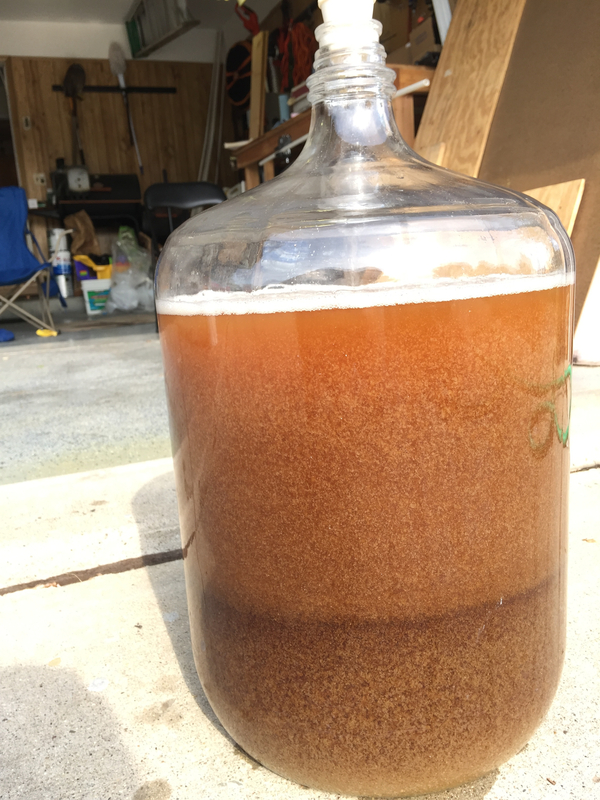 The secondary fermentation was very similar to the saison but most of the pellicle has dropped out. It tastes pretty good with a mild tartness and funk and strong raspberry and caramel flavors. I am going to let it sit another six months to see what happens. 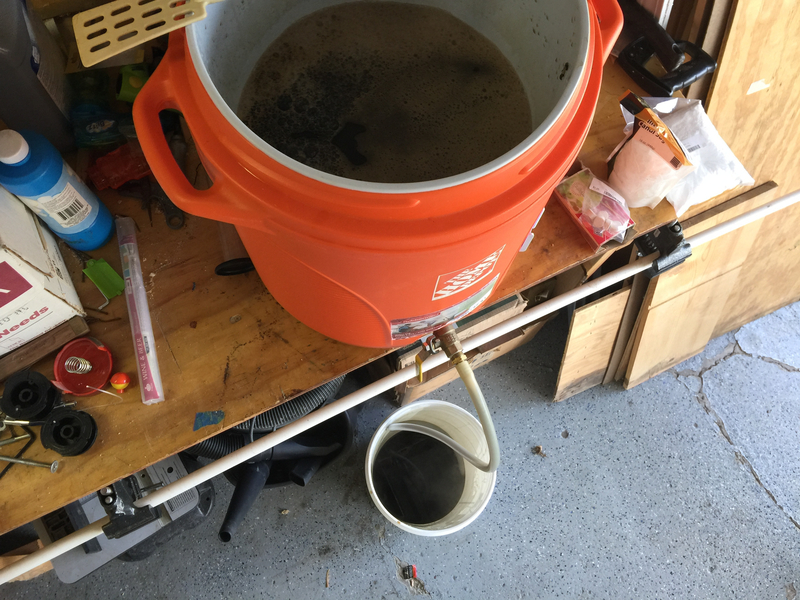 These are pics from the rest of the brew day for the Milk Stout and Belgian Blonde. 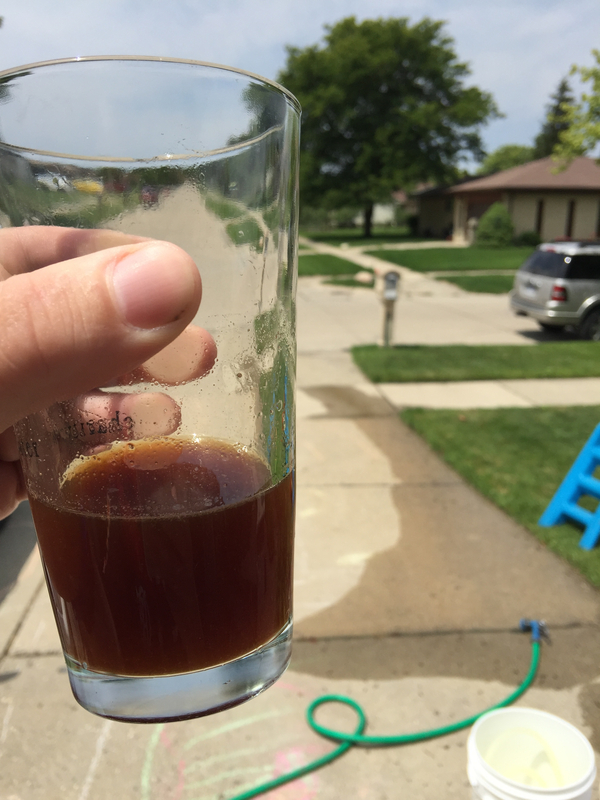 We plan to add an extract of Earl Grey Creme tea to the milk stout and a cold pressed blonde coffee to the blonde in a couple of weeks for a secondary conditioning in the keg. We’ll keep you posted on how it ends up. 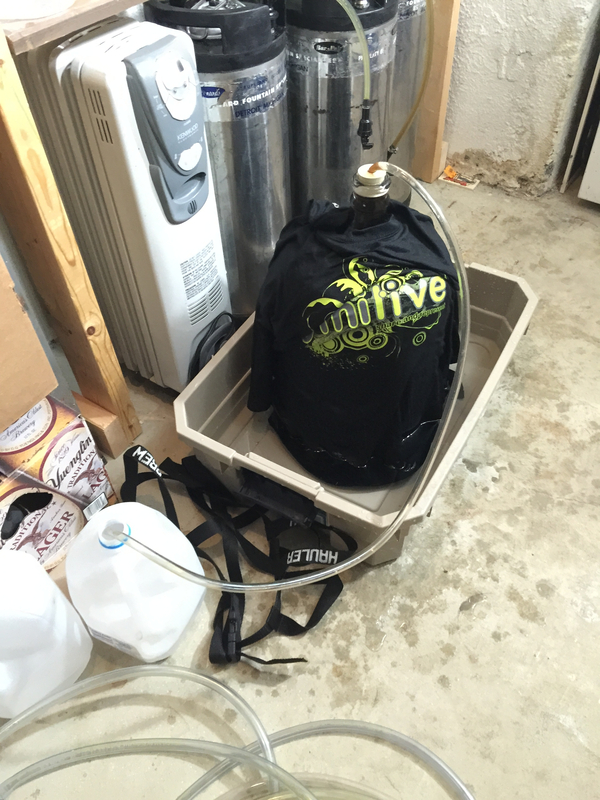 There was no room in the fridge for both carboys so the milk stout is getting the cheap temp control method of sitting in a water bath wrapped in a wet t-shirt.